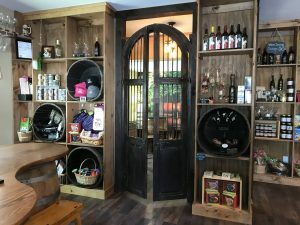 Last week, when the weather was still cold and terrible, we decided it would boost our spirits to visit our favorite local winery. We spent a couple of hours visiting Brianza Gardens and Winery. 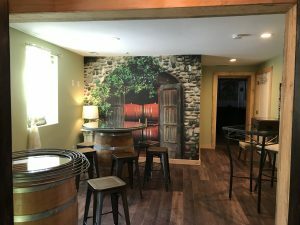 Not only did we have some wonderful Cabernet Sauvignon, but we also got to talk with Tony about wine, upcoming events, and his recent remodel of the tasting room. 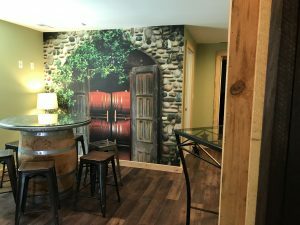 From a beautiful antique swinging door to the lovely mural on the back wall, the additional space in the tasting room is fantastic. 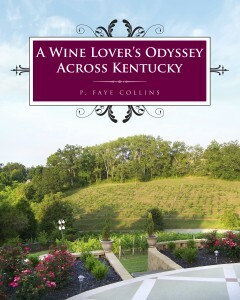 It adds seating room and gives the winery a much roomier, welcoming space. 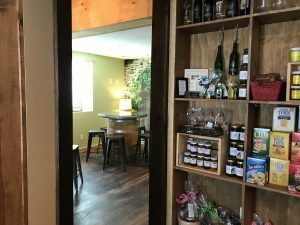 The room also connects to the party and event space and when there is music, visitors will be able to hear the music while still visiting with friends. If you haven’t been able to visit Brianza for a while, you’re in for a treat. An afternoon there will brighten even the dreariest of dreary winter days.